It seems like this year is going to be very busy, and I'm grateful for that. However, I could use some kind of efficiency and work organisation course for sure. I'm once again behind with many things and need to catch up on my favourite blogs, twitter etc. I told you about new issue of G2Kichen magazine in my last post. I'm very proud that my parsnip photo made the front cover of this issue! I'm so excited. 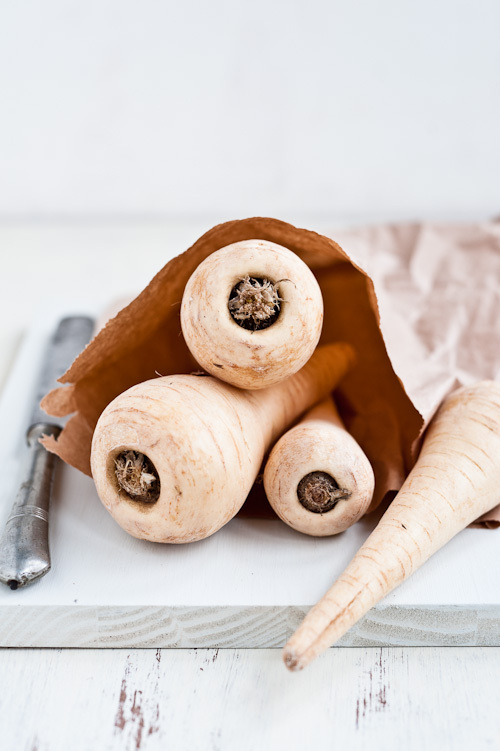 I shared some root vegetables recipes in the winter issue, because most of root vegetables are in season now and they can be turned into perfect comfort food for cold winter months. Unfortunately, for the time being the magazine will be published only in Italian. I will publish my recipes in english here on Cook Your Dream though, so you can still read my recipe in english. 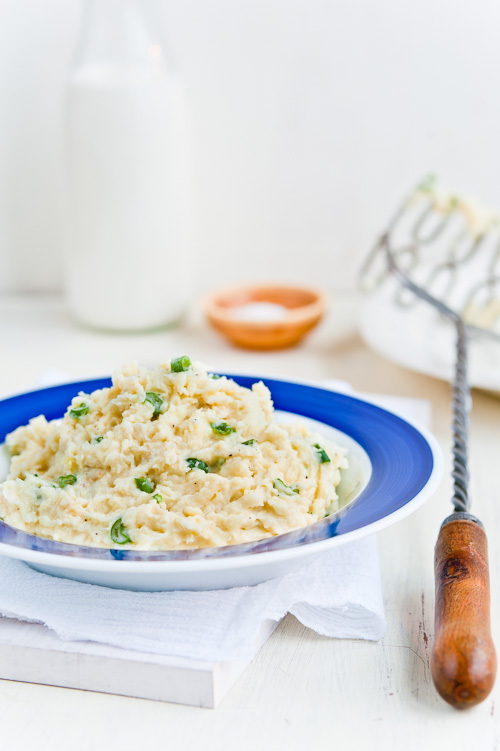 I fell in love with parsnip recently and parsnip mash is one of my favourite recipes. 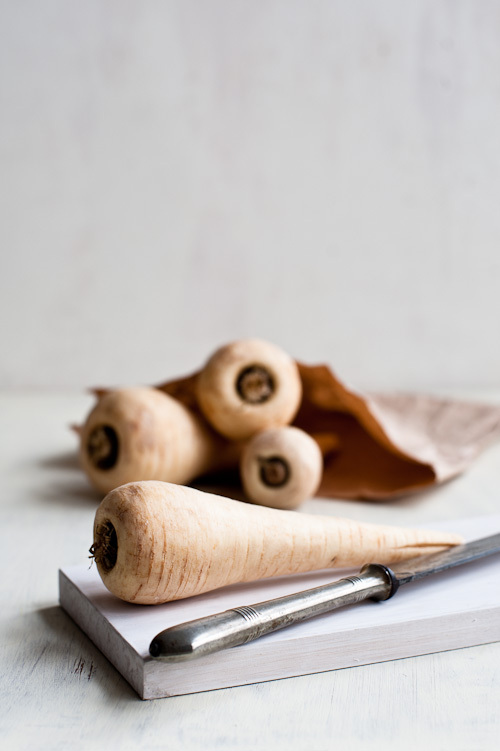 What are your favourite parsnip recipes? Oh and I can't forget to share an important news! Food Blogger Conference 2011 registration has opened this week so don't hesitate to book your place now for great deals! Place the potatoes and parsnip in a medium sauce pan and cover with cold water. Add a pinch of salt, bring to the boil and simmer for 20 minutes or until tender. Drain the vegetables in a colander and return to the pan. Mash with a fork or a potato masher. Stir in milk, crème fraiche, olive oil, nutmeg, onion greens, and salt and pepper to taste.